If you are not up-to-speed on the Duffer Brothers's totally tubular series, Stranger Things, please stop reading now. Stop it. Just stop and go watch the first two seasons on Netflix. . . . what are you still doing here? Stranger Things is not the first show to echo, allude, quote, and frame itself around the previous generations pop-culture. Not the first; but might be the best. In this case, the show draws from the plots, tropes, and types of 1980's era science fiction, fantasy, and horror. Season two just dropped in full last week and its brimming with Easter eggs from Star Wars, Alien(s), Goonies, E.T., Flight of the Navigator, the Exorcist, Poltergeist, and more. You'll even recognize a couple actors who play with character types they helped create once upon a time. The risk in such an endeavor is that such derivation can be derivative. But Stranger Things is able (indeed more than able) to wink to the audience repeatedly without distraction. While the characters are recognizable types, they engender empathy. While the plot is sometimes predictable, it is highly creative. Even if nostalgia for the 1980s isn't your thing, you would have to possess a heart of stone not to fall in love with Hawkins, Indiana. This show has all of the self-awareness and period-specific care of the Wonder Years. This is coupled with an cast of freakishly talented actors. It seems that the Duffer Brothers have super-psychic powers to anticipate their audiences feelings and questions so that they can pay them off is successive chapters. As a consequence of my profession, this has me thinking about the Gospels and GMark in particular. GMark may indeed look like period-specific biography with derivative form and function. But, analogous with Stranger Things, GMark also creatively plays with types that assume the reader's knowledge of previous narratives. Sometimes these are followed and sometimes these are subverted. Indeed there is no single literary technique at work that explains their overarching application. Elijah/Elisha typology: yes. But these types are not made explicit in the places that seem to warrant a bold call out. Conversely, types like "David" and "Moses" are mentioned directly but no single character's typology determines where GMark will take its main character. Moreover, as I read GMark, I do not find a single, unifying narrative framework that explains every trope and type. Cases have been made for single narrative derivations (e.g. Isaianic New Exodus; Psalm 22 midrash). But the extent and diversity of the echoes, allusions, quotations, and frameworks suggests that GMark is more creative than simple derivation. I get the impression, rather, of a mosaic of popular narratives. 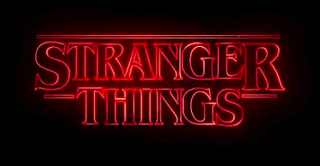 This has me thinking that Stranger Things might serve as a teaching tool to illustrate how the Gospels function episodically. Each episode of the series plays with a theme from a 1980's movie. The overarching plot, however, is not predetermined by any single type. Analogous on this point is GMark's easy transition from David type, to Moses type, to Elijah type in unfolding chapters. GMark's key characters take on stereotypes but play out plot scenarios to unique effect. On the other hand, GMark comes together as something novel when all of these elements are narratively arranged. 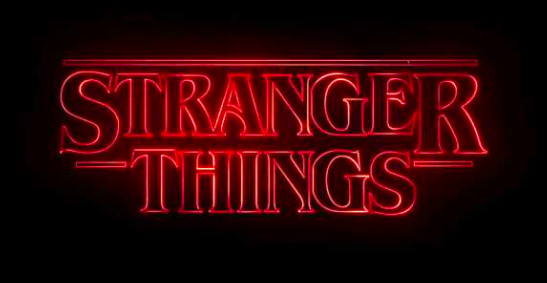 The characters of Stranger Things, when faced with other-worldly drama, attempt to explain their extraordinary experiences in reference to mythologies like D&D and Star Wars. The characters argue about how to best analogize these mythologies. GMark's characters do the same in their arguments over how to interpret Hebrew Bible prophets, figures, and projected eschatology. This happens in both stories often enough that the implicit Easter eggs are easier to interpret as intentional literary devices. But what makes the characters function within both stories is that their voices sound recognizable. For example, the kids in Stranger Things admirably sell their dialogue as typical arguments that represented 1980's pop-culture. I would be interested to hear from readers who are familiar with Stranger Things. How has the story worked for you? Which echoes, allusions, and types were most meaningful to you? Which callbacks to pop-culture best served the story? And do you find any parallels to Gospel composition? 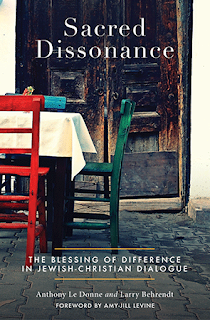 Just yesterday I put my hands on my newest coauthored book Sacred Dissonance. This is a Behrendt and Le Donne joint with a foreword from A.-J. Levine. I couldn't be more proud of this project. Well, I guess I would be a bit more proud if it wasn't so much a book about Jews and Christian in dialogue as it was, instead, a time machine that only allowed good things to happen as a result of using it. If my book was really a time machine, I could go back in time and kidnap Abraham Lincoln before he was shot and bring him into 2016 to get nominated by the Republican Party. Or I suppose it would be more worthy of pride if, instead of being a book, it was a dog who could talk. That would be so cool. I mean, if I had invented a real, live, talking dog.... well. But short of the Lincoln or talking-dog possibilities, Sacred Dissonance is near the very top of things which give me pride. They say that pride cometh before the fall. So, naturally, I thought I'd follow this achievement with a really stupid blog post that will surely reveal nothing but my own banal depravity. It's the perfect Christmas gift for all of your most Jewish friends! Last weekend I got a chance to interview Jordan J. Ryan about his new book, The Role of the Synagogue in the Aims of Jesus. 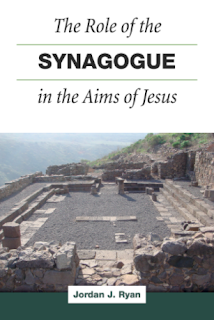 The book is available to order via the Fortress webpage or wherever books about ancient synagogues and the aims of Jesus are sold. 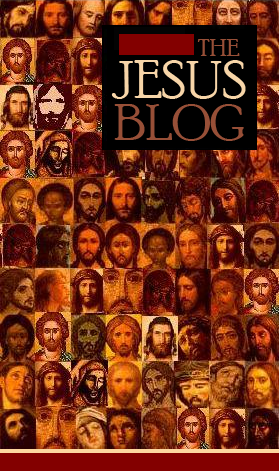 It is my great pleasure to showcase this book and introduce Jesus Blog readers to a rising star in Jesus studies. ALD: So who the hell do you think you are? JJR: Sorry, did I say or do something wrong? ALD: No. That is just my ugly American way of asking you to introduce yourself. But thank you for the stereotypical "sorry". JJR: Haha, that is the most American-Canadian interaction ever. ALD: My thoughts exactly. So, then, who the hell do you think you are? JJR: I'm a scholar of the New Testament and early Judaism, hailing from Toronto, Ontario, a Filipino-Canadian, who recently received a PhD from McMaster University in 2016. Currently, I am Assistant Professor of New Testament at the University of Dubuque Theological Seminary. Prior to that, I was Visiting Assistant Professor of New Testament and Archaeology at Wheaton College. ALD: In that case, sir, a Shibboleth is warranted. Do you enunciate the second T in Toronto? JJR: Absolutely not. It's pronounced "Chur-on-oh." ALD: Okay, then. Let's proceed. Much of your work focuses on Jesus and synagogue culture(s). Would you talk a bit about this? JJR: I've been interested in understanding Jesus in light of his Jewish context from the beginning of my studies as an undergraduate. Not only did it open up my eyes to the myriad of issues pertaining to Jewish-Christian relations, but it also opened up new avenues for interpretation and understanding of who Jesus was, and of what he taught and did. When I read through the canonical Gospels, I couldn't help but notice how prominent synagogues were in their narrative of Jesus' life and ministry. I was particularly struck by the fact that both the synoptic Gospels and John identify the synagogue as the primary locus Jesus' activities during his ministry. When I started looking into research on synagogues, I was shocked to find that synagogue studies had played next to no role in the historical study of Jesus, despite the emphasis of recent scholarship on Jesus' Jewish context and heritage. It seemed like a major lacuna that needed to be filled, especially in light of the exciting new archaeological discoveries and publications that were available at the time. So, I applied to do a PhD at McMaster University under the supervision of Anders Runesson, who specializes in the study of early synagogues. Within my first week at McMaster, Anders called me into his office to tell me that a synagogue from the early first century CE had been discovered in Galilee, and that he had connections with the excavation, and that he thought it would be an excellent opportunity for me to participate in the excavation and learn everything that I possibly could about synagogues. That's how my first major research project was born. ALD: So would you see your work as an extension of Runesson's? If so, how? And if not, where is your departure point? ALD: How should we think differently about Jesus and Galilean synagogues in light of the discovery of the Magdala synagogue? JJR: There are a few ways in which our knowledge of ancient synagogues has grown following the discovery of the Magdala synagogue. The most obvious point is that the synagogue at Magdala was in use during the first half of the first century CE. Magdala is in Galilee, in the lake region, which is where the Gospels claim that Jesus was active in his teaching, healing, and proclamation ministry. It used to be a matter of debate, especially in the 1990s, as to whether or not any synagogue buildings existed in Galilee or the Land in general prior to 70 CE, but the discovery of the Magdala synagogue probably puts that to rest. That said, I think that there's much, much more to what we can learn from Magdala about synagogues and early Judaism beyond the existence of synagogue buildings. We're still analyzing its architecture, and learning more about the communal, religio-political function of synagogues from it. Moreover, the discovery of the "Magdala stone," which features temple imagery, very clearly shows us that Galilean Jews maintained a strong connection to Jerusalem, and that the synagogue may have played a role in that connection. A further insight comes from the discovery of a carved limestone block located in the middle of a smaller benched room. It had two grooves on either side of its top face, and the current hypothesis is that it was used for reading scrolls. The Magdala synagogue also features a mosaic pavement - the earliest synagogue mosaic pavement ever discovered. It was previously thought that mosaic decoration was a later development, but this discovery indicates a much closer connection between early Roman period synagogues and late antique synagogues which feature similar decor. One other issue that I am currently working on with Marcela Zapata-Meza, one of the excavation directors, has to do with the fact that we've identified an area of Magdala, right across the street from the synagogue that contains baths and vessels that we think were used for purity purposes. We're trying to understand the relationship between synagogues and purity, and this discovery may give us some more evidence to better grasp that relationship. It's also worth saying that the dig at Magdala is groundbreaking (pun intended) for another reason - Marcela Zapata-Meza, my dear friend and colleague, is the first Mexican woman to direct a dig outside of Mexico, which is worth highlighting. The two of us will be presenting jointly at the ASOR annual meeting this year in Boston on some of this material. ALD: Your title "The Role of the Synagogue in the Aims of Jesus" echoes the work of Ben F. Meyer. How important has his work been for you? JJR: The title of my upcoming book is an intentional allusion to Ben Meyer’s work. Like me, Ben Meyer also saw value in Collingwood’s philosophy of history, especially the concept of what Collingwood called “the inside of the event,” which is anything that be described in terms of thought. For Collingwood, events in the past involving human beings have an “inside” and an “outside,” wherein the inside was thought, and the outside was physical action. This led Meyer to the idea that, in order to understand the historical Jesus, we need to understand his intentions – the “inside of the event” of Jesus’ ministry. For Meyer, the aims of Jesus were tied to the restoration of Israel. Meyer’s work, though it has its flaws, was foundational and inspirational for me, as I sought to understand why Jesus used synagogues as the primary platform for his public ministry. In order to understand why Jesus did something, we need to understand his aims – the “inside of the event.” So, what I ended up doing in The Role of the Synagogue in the Aims of Jesus is exploring how synagogues played into Jesus’ aims, and why he made them the primary locus of his activities. ALD: In your book, you write: "Luke 4:16–30 is undoubtedly Lukan, and its testimony has been shaped by Luke and by the processes of collective remembering. That is the nature of history, and there does not exist any account of something that happened in the past that is not similarly shaped by the process of remembering. None of this means that it does not recall or evince an event that actually happened. Again, we must remember that history is inferential, and that the evidence is not the past itself, but bears witness to it. A shift in language may help to illustrate this. Rather than saying that this passage 'goes back to Jesus,' it is better to say that it tells us about him." Would you talk a bit more about the principle of inference? JJR: The principle of inference has been a key one for me. 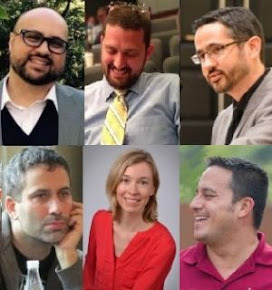 I started working on my dissertation in 2011, following the release of a certain book titled "Jesus, Criteria, and the Demise of Authenticity," edited by a couple of guys who write posts about Jesus on the internet. That book encouraged me to start thinking about how to write history, and how to go about historical investigation. That led me to start reading deeply in the philosophy of history. Inference is a principle outlined by R.G. Collingwood and others who followed him. The basic premise is that history is an inferential science. What this means is that the historian is not interested in the data itself, but in knowledge of the past that can be inferred from it. According to Collingwood, the business of history is “to study events not accessible to our observation, and to study these events inferentially, arguing to them from something else which is accessible to our observation, and which the historian calls ‘evidence’ for the events in which he is interested.” The ramifications of this are substantial. First of all, it shows us that it is not enough to establish the “reliability” or “authenticity” or any given testimony. There are more questions to ask, and much more to discover, because we are not enslaved as historians to what the sources say. So, when we are presented with testimony about Jesus, we need to ask not whether it is true or false, but what we might infer from it about the past. That means switching over from thinking about the Gospels as “testimony” to be verified towards “evidence” about the past to be interpreted. I actually think that this coheres in some respects with the results of recent studies applying the insights of collective memory. However, that doesn’t mean that, once we understand the testimony, once we understand the intentions of the author of the Fourth Gospel, we cannot treat it as evidence and make inferences about what Jesus said, intended, and did on the basis of that text. Nor does it mean that the testimony is not “true,” or of no use to the historian. What it actually means is that we need to think about how the testimony can function as evidence, rather than treating the testimony as though it either is or is not an “authentic” representation of the past. One of the things that I note in my book is that, once we understand the “gist” of what the Capernaum synagogues teachings intend to communicate rather than trying to establish the authenticity of the words themselves, it looks quite a bit like the sorts of things we see associated with Jesus’ synagogue teaching elsewhere. In turn, that speaks to its direct relevance as evidence for understanding Jesus’ life, teachings, thought, and aims. This is one of the reasons why interpretation is so important in history, something that some of the contributors to this blog have also emphasized. Some of my readers might notice that I have a tendency to make use of passages that many other historical Jesus scholars consider “inauthentic” or “unreliable” as data points in my portrait of Jesus, such as the “Bread of Life” discourse in John 6, or the incident in Nazareth in Luke 4:16-30. One thing that I want to be clear about is that I’m not saying that these passages are “authentic,” or even necessarily that they accurately represent the past. Those are issues that I'm not even really addressing. All that I am saying is that, regardless of their “authenticity,” we can make inferences about who Jesus was once we treat them as evidence rather than as testimony. Many thanks to Jordan for his time. I look forward to seeing more from his mighty keyboard. This is breathtaking. The acoustics produced by the architecture in this Georgian Cathedral are worth a listen. The choir is singing Psalm 53 in Aramaic. PatriotHole's parody of the propaganda-lackey-who-must-not-be-named is almost too good. Favorite line: "...the fish don't just attract mice. They attract all sorts of other animals like bears and lions. 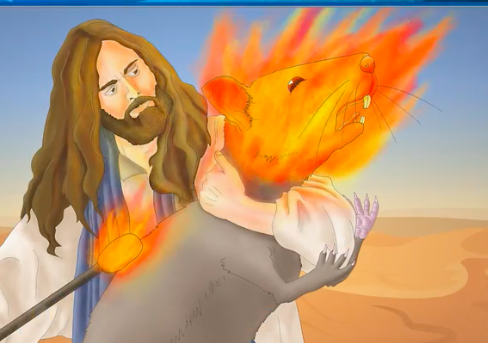 And they attack and kill people but Christ doesn't care." 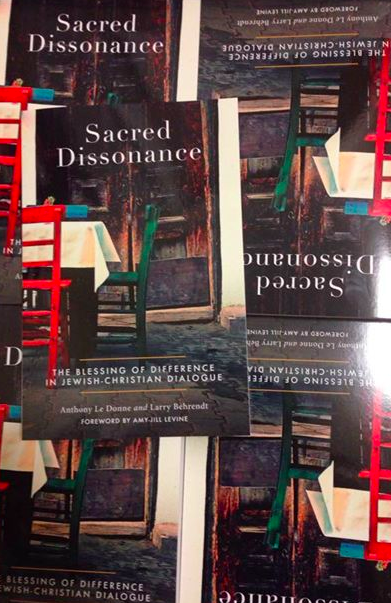 This is a book about Jewish-Christian dialogue cowritten with Larry Behrendt. Sacred Dissonance has been four years in the making and represents many challenging, edifying, and earnest conversations on a number of topics. These include memory, the Shoah, dialogical posture, and sacred borders. Amy-Jill Levine writes the foreword. Today I flipped leisurely through the most recent Eerdmans catalogue. As far as activities go it ranks somewhere between baseball pregame radio and a crossword puzzle. The catalogue marks the season and suggests a harvest of ideas. In this case, these are seeds of book proposals planted years ago. Here are just a few offerings from the Eerdmans' soil. Early Jewish Literature: An Anthology (2 vols). Editors: Brad Embry, Ronald Herms, and Archie T. Wright. Description: Early Jewish Literature: An Anthology offers more than seventy selections from Second Temple-era Jewish literature, each introduced and translated by a leading scholar in the field. Organized by genre, this two-volume anthology presents both complete works and substantial excerpts of longer works, giving readers a solid introduction to the major works of the era—the Dead Sea Scrolls, the Old Testament Pseudepigrapha, the writings of Josephus and Philo of Alexandria, and the Septuagint (Apocrypha). 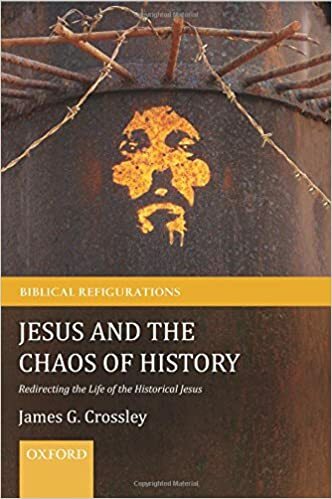 The substantive introduction to each selection includes these elements: narrative description; author/provenance; date/occasion; text, language, sources, and transmission; theology; and reception during the Second Temple period. Additional student aids include a list of further readings on each selection, a section of maps, a glossary of biographical names, and a glossary of terms. With contributors and translators including such noted scholars as James Charlesworth, Sidnie White Crawford, James D. G. Dunn, Peter W. Flint, and James VanderKam, this anthology will be an essential resource for all students of early Jewish literature and emerging Christian traditions. Paul and the Person: Reframing Paul's Anthropology. Author: Susan Grove Eastman. Description: In this book Susan Grove Eastman presents a fresh and innovative exploration of Paul's participatory theology in conversation with both ancient and contemporary conceptions of the self. Juxtaposing Paul, ancient philosophers, and modern theorists of the person, Eastman opens up a conversation that illuminates Paul's thought in new ways and brings his voice into current debates about personhood. Eastman devotes close attention to the Pauline letters within their first-century context, particularly the Greco-Roman fascination with questions of performance and identity. At the same time, she draws out connections to recent trends in psychology and neurobiology in order to situate Paul's insights in deep dialogue with contemporary understandings of human identity. Dying and the Virtues. Author: Matthew Levering. When death begins to strip away nearly everything that belongs to us, we discover that we need the virtues more than ever. We especially need to cultivate those virtues that can carry us through to the full and final fruition of our earthly journey. In this book Matthew Levering investigates nine such virtues—love, hope, faith, penitence, gratitude, solidarity, humility, surrender, and courage—that dying persons need in order to prepare themselves for the end of life. Retrieving and engaging scriptural, theological, and contemporary resources ranging from the book of Job to present-day medical science, Levering journeys through the various stages and challenges of the dying process, beginning with the fear of annihilation and continuing through repentance and gratitude, suffering and hope, before arriving finally at the courage needed to say goodbye to one's familiar world. I'm looking forward to getting my hands on these items, each for different reasons. The Embry, Herms, Wright anthology is a must own. The introductory material and glossaries alone make these volumes worth their cost. 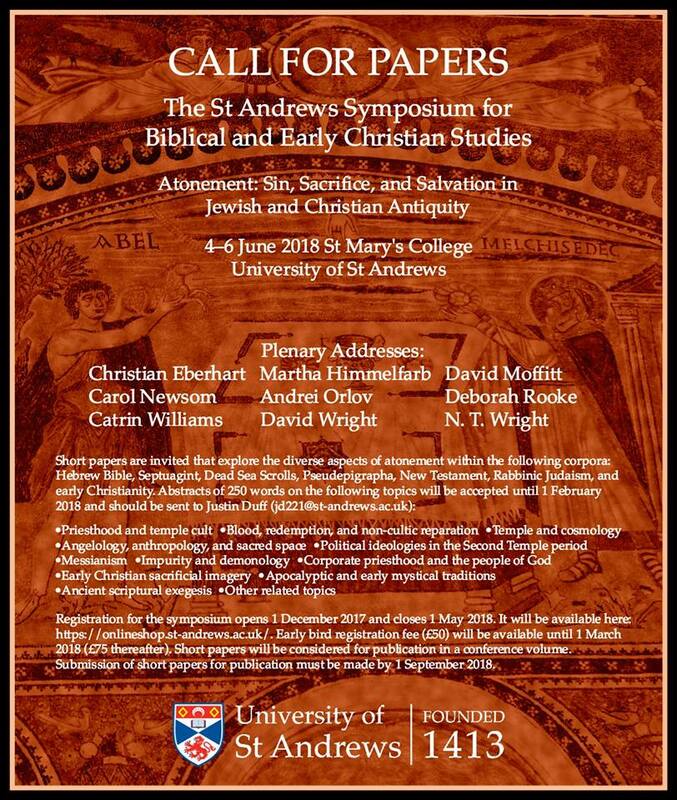 NB: I can imagine nothing more relevant to the student of Jesus and Early Christianity than exposure to the literature circulating in (circa) the first-century. The Eastman book on Paul is intriguing. Listen to John Barclay's praise from the foreword: "She has traveled far, into philosophy (ancient and modern), neuroscience, and experimental psychology--mostly territory unknown to biblical scholars--and she has returned in triumph...." The Levering book tackles that ultimate topic of the human condition. Also it was conceived by Matthew Levering who is known for thinking and writing like Matthew Levering. There are a number of other interesting books in this catalogue. These are just the first three on my 2018 reading list. Over at PaleoJudaica, Jim Davila brings a bit of clarity to recent headlines re: the "Seal of Solomon." Max Botner sent along the following call for papers for the 2018 St Andrews Symposium for Biblical and Early Christian Studies on "Atonement, Sin, Sacrifice, and Salvation in Jewish and Christian Antiquity." We're happy to pass it along for readers who might be interested in attending or submitting a proposal.